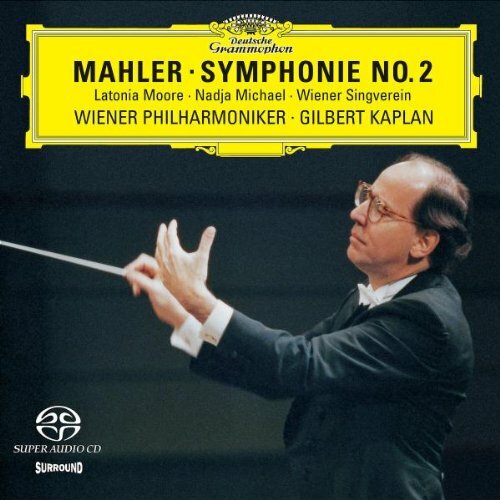 What is your least-favorite Mahler symphony? Yes, I realize this is not an easy, or even possible question. Yet it's fairly easy to choose our favorites. I wouldn't suggest that Mahler had any "duds," but it might be interesting to see which symphony is least popular at the GustavMahlerBoard. Re: your least-favorite Mahler symphony? The M8 is the other most unplayed Mahler work in my collection...only because I need to be in a "special place" or "in the mood" to hear this work, which for some reason feels super epic in scope (well, I guess it is) even though it is not Mahler's longest work. I'm not that keen on the 5th except for the first movement and the adagietto. I'm also ashamed to say that apart from the first movement, I've never been able to get into the 9th. For me the answer is very easy. It is M8. NOT in anyway that it is bad or somehow wrong for me. It has some fantastic points, but overall it doesn't won me over. I know from other forums and conversations with Mahlerites, that this will be the verdict. Maybe M7 is destined for this "award". But not for me. The last years I am espesially fond for M7(first mov. particularly). IF thus will be the verdict, it will be interesting to note that exactly this symphony M8 was the only and true success in Mahler's lifetime. Different times, different attitudes and fashions. The question should have been, "What is your least played Mahler symphony?" Yes John, every bar of Mahler's music is a masterpiece.But we all have some preferences and some black ships.And the interesting thing is that, by and large, we all agreed each other. Meine Zeit wird noch kommen. It has to be the Eighth, but only because I don't know it well. Until I have learned the text, the singing is merely sound. Not that that is a bad thing, but it is a considerable limiting factor in the appreciation of the work. I have not yet taken the time to study the Eighth and learn the text. Some day. . . .
As usual, it's all my fault. Perhaps I should make my point more clear. The least favorite piece is NOT necessarily the least played piece. Why are only a small number of the symphonies listed? My least favorite is not an option to vote for. List them all. Even great maestros and friends of Mahler had favorite symphonies. We all know that Karajan and Giulini conducted only a handfull. I consider this fact a very healthy sign. Althought it's the same language, the same world, there are diffrerent neccesities for each work.I beleive to a trully artisic instict of each performer and not to a fashion which wants complete cycles.That said, there are a lot of complete cycles by trully dedicated Mahlerians which are excellent. Everyone to his likes and dislikes, both artists and musiclovers. My least favorite are those that are probably most popular: M2, M5, and M9. However, I'd rather listen to any of those three, than pretty much most everything else composed by other people. It's a matter of perspective. My least favourite is M8, however, as I only started listening to Mahler's music none months ago, with time that might change. My least favorite is everyone else's favorite. M6. I'm not crazy about M8, but M6 is definitely at the bottom of my Mahler listening list. For me, it's M10. The performing editions just don't do it for me, although it IS fascinating in parts. My least played is the 4th, although it is not by any means a failure as a work. I just never got into the piece as much as the 5th, 6th and the 10th for example.